It's Friday! I thought today would never come! This is my fourth post in a single week. I'm shocked myself. LOL. 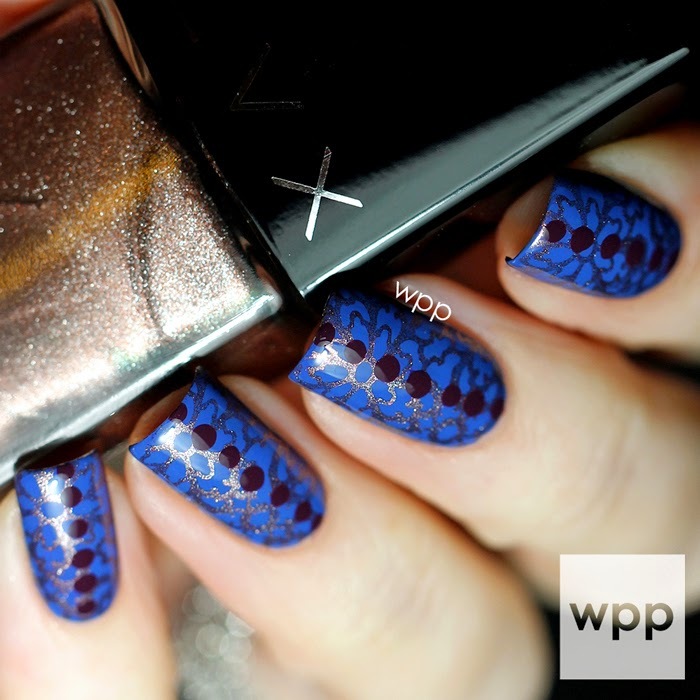 I love stamping with metallic polish and when I saw the coppery Eiffel in the LVX Winter-Resort Collection, I was inspired. Like all LVX releases, this one was born directly from the shades of the runway. I love the soft gray called Mineral. You'll see that in a future post. In addition to Eiffel, this look uses Denim and Vamp from the collection. I started with a base of Denim. That's a perfect name. In the direct light of my photos, it looks brighter. But in most light, it has a deep, medium blue color that's perfectly reminiscent of standard denim. Then I used Eiffel to stamp a scroll work design from Born Pretty Store Plate QA92 ($2.99). It stamped perfectly. Not a single smudge. 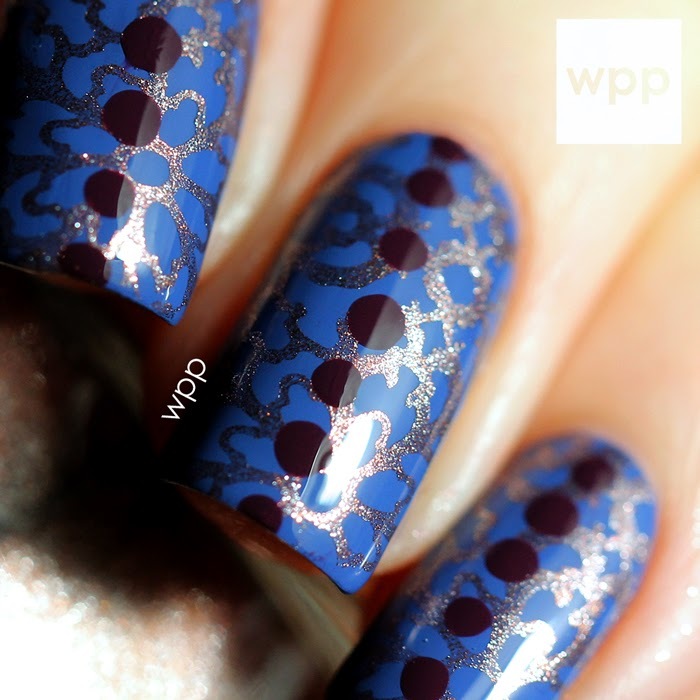 I finished with a row of dots down the center of each nail with Vamp, a sultry purple. The LVX Winter-Resort Collection is available exclusively at shoplvx.com. Polishes are $16 each. Stay current on all things LVX through Facebook, Twitter and Instagram.